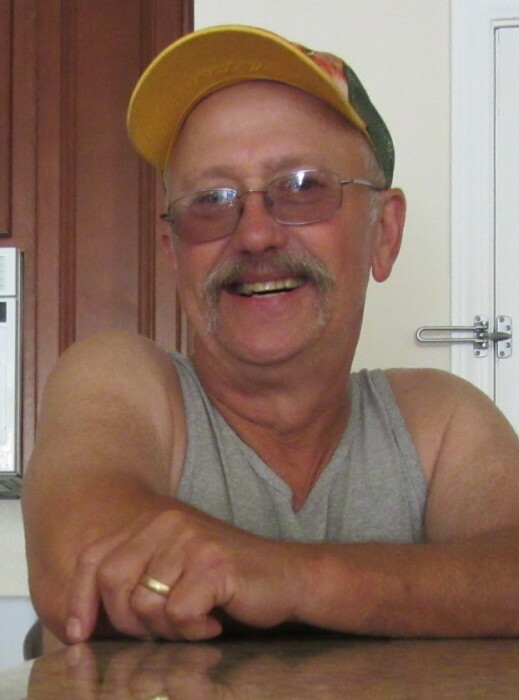 A celebration of life for Carl Lane Major, 67, of Coos River, will be held at 3pm, Saturday, April 27, 2019 at the Harmony United Methodist Church, 123 Ocean Blvd., SE, Coos Bay, with the Reverend Don Ford, officiating. A potluck social will follow in the social hall at the church. Cremation was held at Ocean View Memory Gardens in Coos Bay and inurnment will be held at the Coos River Cemetery. The grandson of William D. and Ann Major and Pete and Clarice (Hansen) Long, Carl was born November 10, 1951, at Keizer Hospital in North Bend. After a lengthy battle with an unknown illness, he died peacefully in his sleep at his home on Coos River April 13, 2019. Carl attended Eastside Elementary, was the first class of 8th graders at Millicoma Junior High, and graduated from Marshfield High School in 1969. During his later teenage years (and on into early marriage) he was a deckhand on various commercial fishing boats including the Columbia, Leading Lady, Pacific Hustler, Tiffany and the Renown. They fished out of Oregon ports such as Brookings, Newport and Warrenton, and also occasionally out of Crescent City, California. 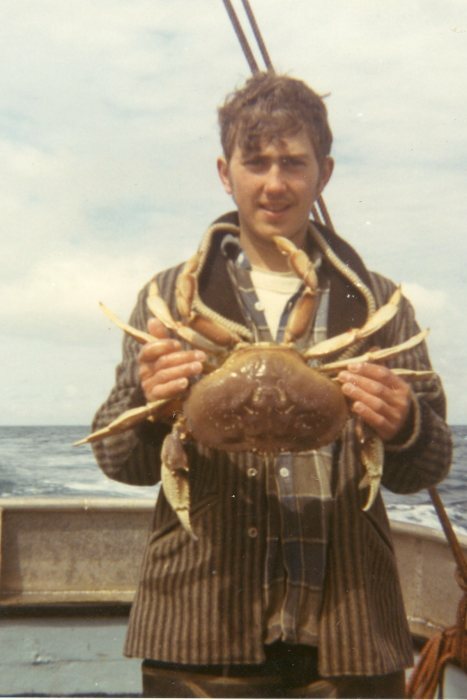 After he graduated from high school he sailed to Kodiak, Alaska, with his step-dad Matt “Huck” Huckler on the Leading Lady, where they were involved in a crab survey for the state. He often recalled that trip boasting of a huge Dungeness crab they had caught which measured 13-1/2 inches across the back. During his early years in high school, Carl met the love of his life, Vonnell (Vonnie) Smith. They were soon engaged and later married on November 26, 1971. He was logging for various gypo outfits at the time, falling back on commercial fishing and boomer trapping when logging was short, and eventually landed a job at Weyerhaeuser. He there learned to run yarder and eventually began working for McCarthy Brothers Logging, running yarder for nearly 30 years. Carl was an avid fisherman, hunter, camper and all-around fun guy. Everywhere he went, he was greeted with a friendly handshake or “smart” comment… usually causing an infectious laugh. Most often conversations would switch to logging memories as he greatly missed running yarder. Even in his last days he would hear the yarder whistles across the river from his home, pining for the chance to run yarder again. His favorite fishing memories of the great striper fishing he had done on the South Fork of Coos River and also the Smith River, Reedsport, were often repeated, along with stories of all the boats he worked on, and plugging the boats with either crab, shrimp or tuna. It seemed he never knew a stranger, he would stop and tell people some joke he had heard… always getting a chuckle or “that’s a good one” from them. He was known everywhere he went for his constant teasing, infectious laugh and friendly hello to all. He was the most faithful man, adoring his wife and telling everyone so. He was so proud of his children, what they have grown to be, and the grandkids they gave him. He would often say, “Look what we did, honey! And we weren’t going to have any kids!” They would both have a laugh over that. The two proudest moments in Carl’s life were when his daughter, Meghan (1980) and son, Lane (1983) were born. As they were growing up they experienced fishing and hunting excursions, lots of camping trips where a yearly trip to Five Mile at Tahkenitch Lake became a family tradition. When he couldn’t be more proud, along came the grandchildren. He truly became such a “grandpa” it seemed a life-changing experience! A loving husband, father, grandfather, and friend to all… his laugh, his jokes, his orneriness, and his kind and generous love will be sorely missed by all who loved and knew him. We will keep his memory alive by reliving a lifetime of stories and remembrances. Carl is survived by his wife of 47 years, Vonnie; children, Meghan Wilson and Lane Major; grandchildren, Tyler and Wyatt Wilson, Syla, Karter and Harper Major; extended family that he included as his own, Cooper and Nichole Hedgecock and Conner and Keigan, Jess and Ashley Walker and Kayley, and Michael and Ashley Johnson and Nathan and Halley; siblings, Lexie Benninghoven, Ray Major and Mica Huckler, along with several aunts, uncles, nieces and nephews, cousins and the vast amount of logging and fishing buddies he never had forgotten. He was preceded in death by his father, William D. Major Jr.; step-dad, Matt “Huck” Huckler; mother, Verna Huckler; sister, Mia Huckler; nephew, Bruce Hollingsworth and Ashley Wolf. Arrangements are under the direction of Coos Bay Chapel, (541) 267-3131. There's still time to send flowers to the Celebration of Life at the Harmony Methodist Church of Coos Bay at 3:00 PM on April 27, 2019.